Within close proximity to the international airport this area is well-served with hotels to suit every taste and budget. Dive services are available from the hotels and resorts and the usual destination is the nearby reefs and islands. The Mamanuca islands are a spectacular mini archipelago only ten minutes by air from the airport or one hour by ferry. The Mamanuca islands sweep in an arc to the north west and join the spectacular Yasawa chain, the setting for the movie, the Blue Lagoon. The islands, lie behind the great reef enclosing a huge lagoon of innumerable reefs, bomies, islands and insets most of which have never seen a diver. The mainland and island resorts are tailored to meet the needs of every diver, and include an adrenalin-charged shark dive at the site known as the supermarket for those craving extreme excitement. Novices have calm waters and coral reefs to explore. 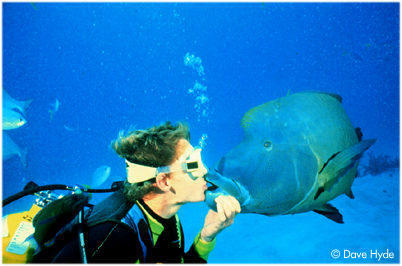 Experienced divers can dive the ocean side of the barrier reef and passages through it. Visibility frequently exceeds 35 meters. As well as vibrant corals and colourful small free fish, dolphins, sharks, manta rays, turtles and large pelagic fish are frequently encountered. The resorts offer a range of accommodations: from small to intimate to a few which are not so small (but not large) and tariffs which please everyone from backpackers upwards. All resorts have beautiful white sand beaches.